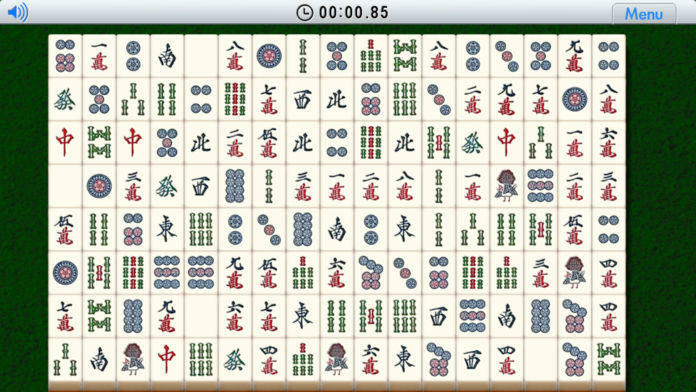 "Shisen-Sho" is simple and deep solitaire game that uses the mah-jong tile. Everyone can readily enjoy it. 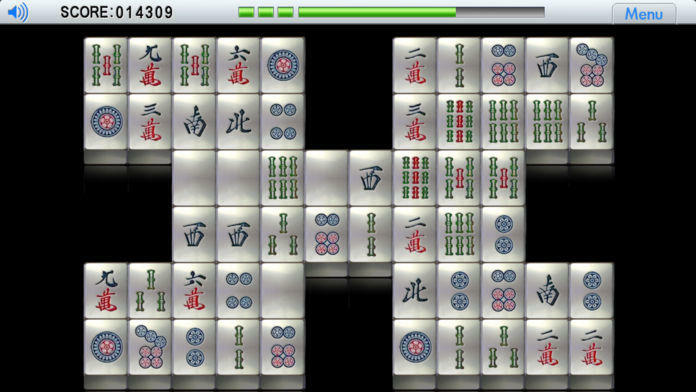 If two mah-jong tiles of the same design that queues up in the screen are taken by one pair, and all tiles are taken, it becomes clear. The selection of the tile does the tile with the finger by touching directly. The tile that can be taken has the condition like the under. 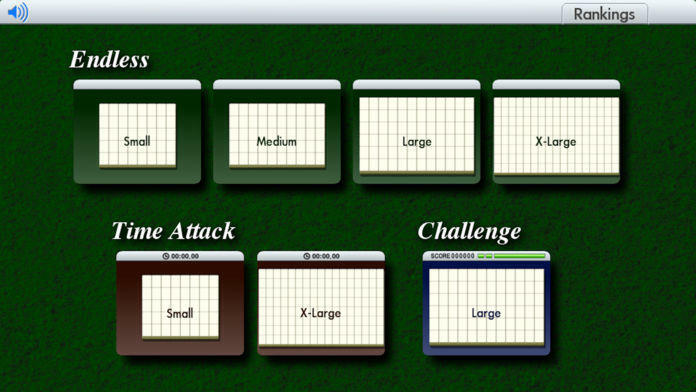 - It is not possible to take it when there is a tile of another design between two tiles. - The tile that length and breadth adjoins can be taken. - The tile at the position that can be connected by the straight line in length and breadth can be taken. - The tile at the position where the straight line bends up to two times can be taken, too. It becomes "GameOver" when the tile that can be taken is lost. Of not becoming "GameOver", there is a tile that can surely be taken. There are some game modes in "Shisen-Sho". "Endless-Mode" that can be slowly enjoyed indefinitely. Attack mode etc. that compete for time and score. 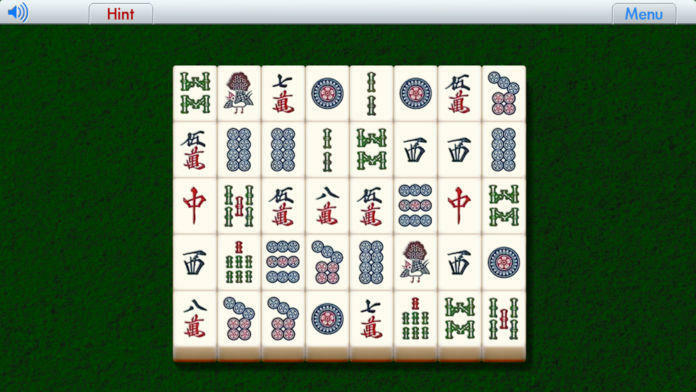 It is possible to play by various styles. The tile of a full screen is taken in the time limit. 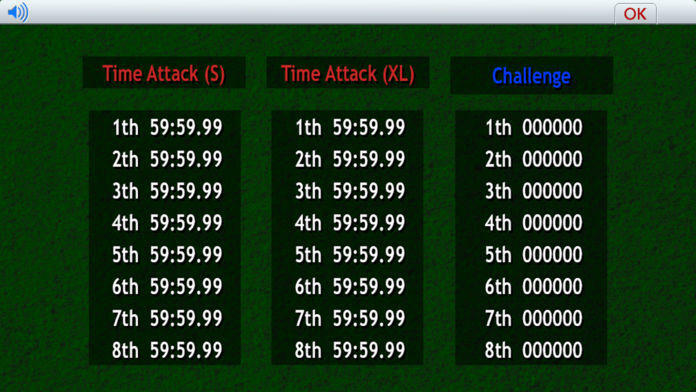 The tile is erased before the timer gauge disappears and the score is earned. It is game over when all the remainder gauge tanks are lost. A special stage sometimes comes out. When you clear a special stage, the reserve tank increases or a special bonus can be gotten.